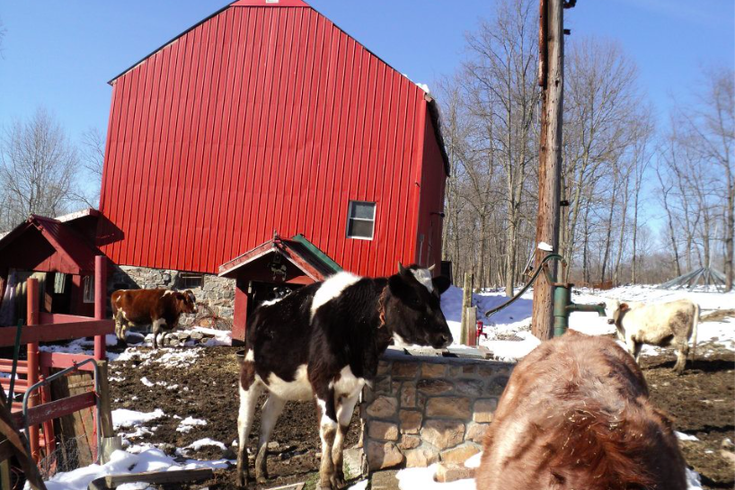 Lakshmi Cow Sanctuary in Bangor, Pennsylvania. Pennsylvania State Police have launched an investigation in Bangor after a severed cow's head was found dumped at a Hindu sanctuary last weekend. According to World Religion News, the incident occurred at the Lakshmi Cow Sanctuary, a non-profit organization whose mission is to provide a safe house for cows who would otherwise be destined for the slaughterhouse. The incident is a direct affront to the Hindu belief system, which reveres cows as sacred symbols of life protected by one of the religion's gods, Lord Krishna. The severed head was left at the home of Dr. Sankar Shastri, who operates the 42-acre sanctuary where about 20 cows currently reside under the care of his volunteers. None of the cows at the sanctuary were injured, but authorities are seeking a suspect to press charges of criminal trespass, ethnic intimidation and harassment. Shastri, who has run the sanctuary for nearly 20 years, said he hoped the incident was nothing more than a prank. He added that he has no idea who would have committed such an act. “If you like cows and show love and compassion, then there's more love and compassion and you don't need war,” Shastri told WNEP. Anyone with information about the incident is asked to call the Northampton County Pennsylvania State Police station at 610-759-6106.